A Party for them, Peace of Mind for you! Four Paws understands your dog’s need for a safe place where he is loved and cared for by people he can trust during your extended absence from home. Our professional staff has the experience and knowledge to provide your pet with exceptional care while you’re gone. Our airy and spacious suites are heated and air conditioned for your dog’s comfort. From comfortable bedding, fun treats, to indoor and outdoor play, at our Dalton dog boarding facility, your pet may enjoy his time away more than you do! 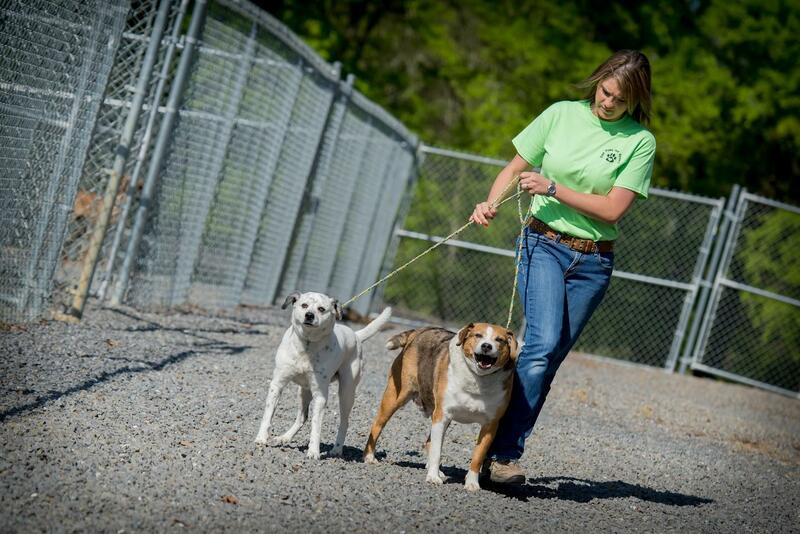 Although our facility runs like a well-oiled machine, our service truly personalizes each dog’s care. We consider each dog’s social and physical needs. If your dog wants to be cuddled, that’s what he’ll get, but if he enjoys more high-energy action, we will provide that too! We really get to know our guests and work to build long lasting trusting relationships with them. We spend quality time with your dog while providing lots of ear and belly rubs!